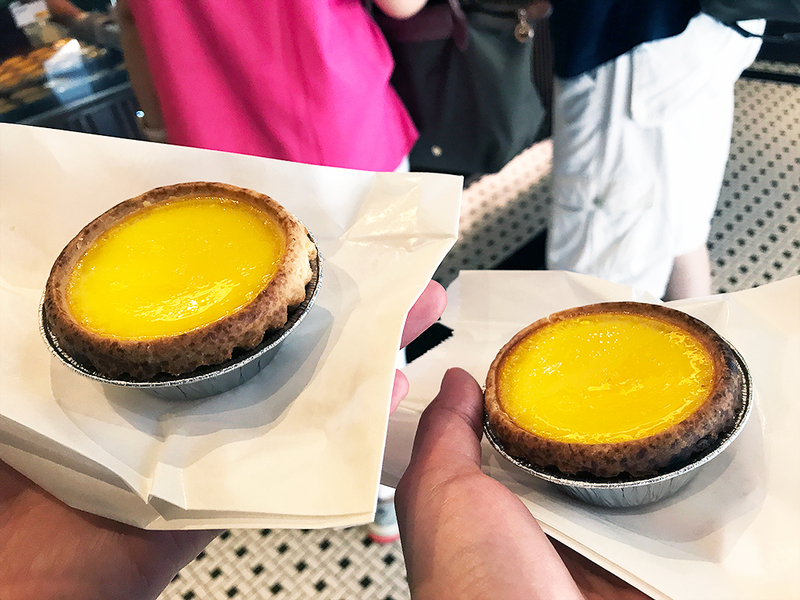 On our recent trip to Hong Kong, Daniel and I tried as many local, authentic desserts as we possibly could. 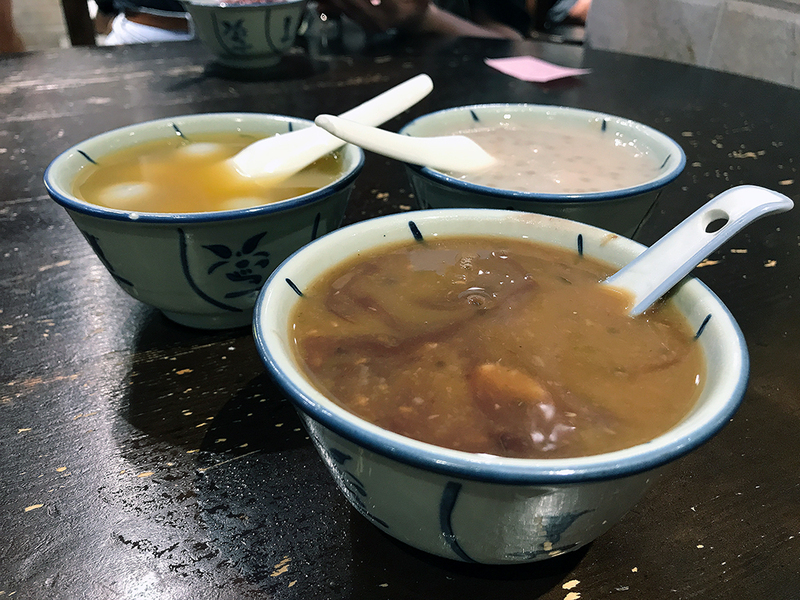 We skipped the Western desserts with chocolate, and swapped them for red bean soup, eggettes, and egg tarts! 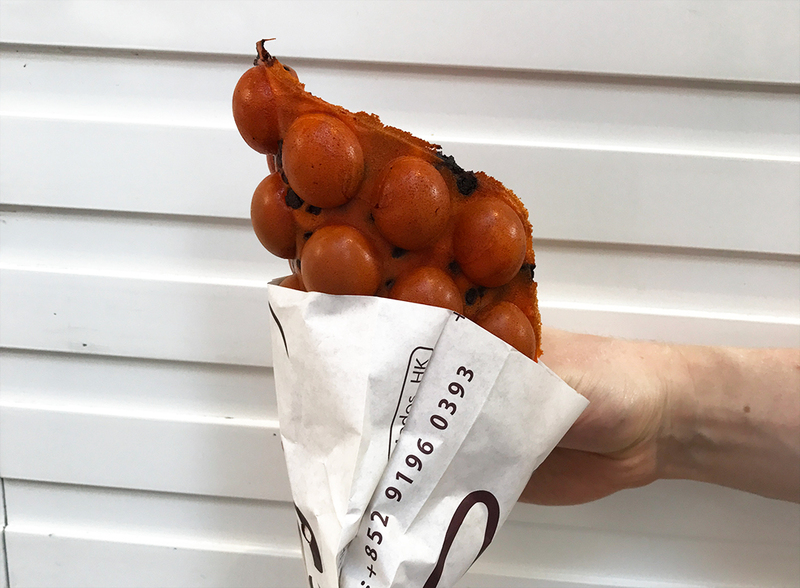 Eggettes, or Gai Daan Jai (鷄蛋仔) as they are known in Hong Kong, is a cute spin on the normal waffles. Instead of the crisscross pattern, you have small semi-spherical balls that make up the waffle. They’re often eaten plain, but sometimes can be flavoured with chocolate, honey, orange etc. Of course, all pastries found in the Hong Kong bakeries are to die for, but the egg tart is one of a kind. In Europe, the English custard tart and the Portuguese Pasteis de Nata can almost be considered the predecessor to the Chinese egg custard tart. In the 1940s to 1950s, lots of chefs in Guangzhou (a majority city in China) migrated to Hong Kong and brought the recipe for egg tarts with them, forging the new Hong Kong style of egg tarts. For my sweet toothed friends, these are absolutely AMAZING. There’s a wide selection to choose from, so if you’re not a fan of peanuts, skip the peanut ones. If you prefer coconut, then get the coconut desserts! There’s everything from rice balls in ginger syrup, coconut in sago soup to mung bean desserts. 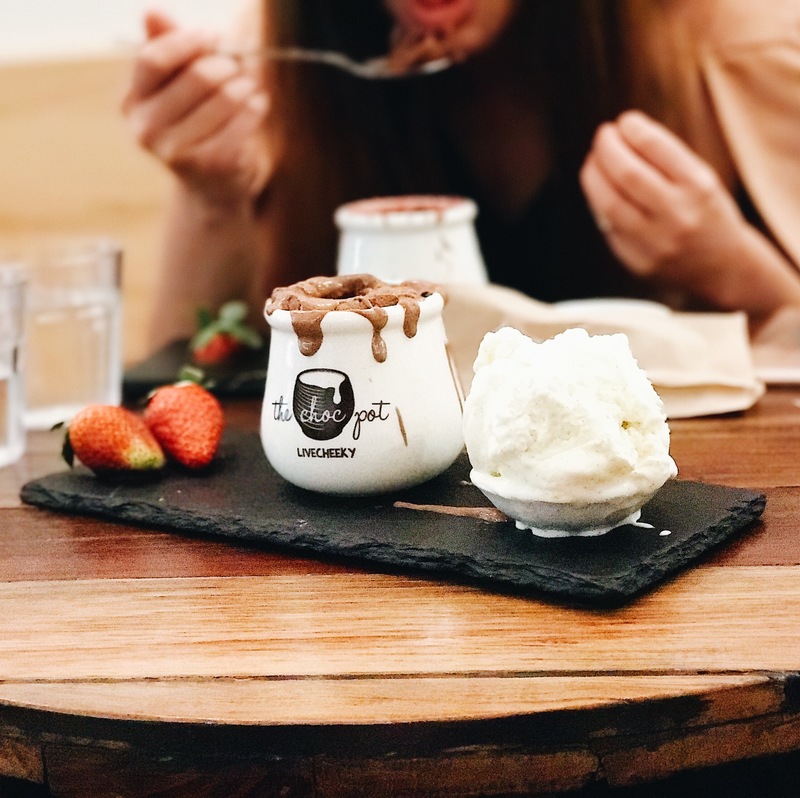 Where to find these delicious soupy desserts? 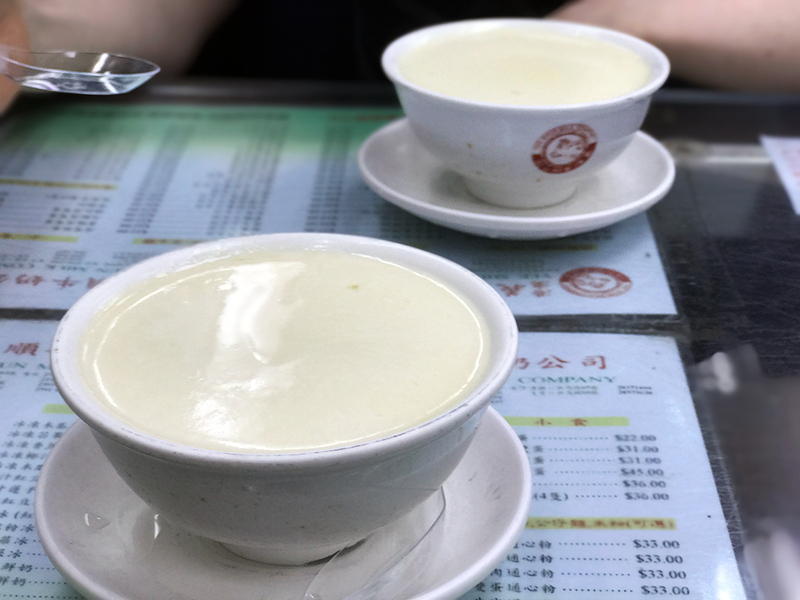 Steamed milk pudding, or double skin milk, is a Cantonese dessert made of milk, egg whites and sugar and can be eaten hot or cold. It is a milk custard which is a bit similar to panna cotta. 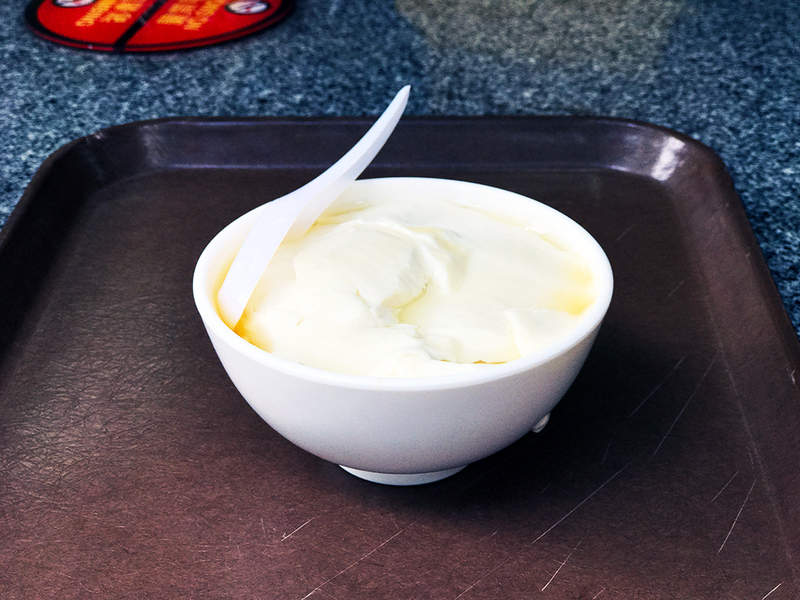 Mango pudding is an extremely popular dessert in Hong Kong, especially as a dim sum (a small bite-sized serving of food) at restaurants. So what exactly is mango pudding? Mango pudding is made up of usually agar or gelatin, mango, sugar and topped up with evaporated milk when served. It sometimes contains fresh pieces of mango inside the pudding. 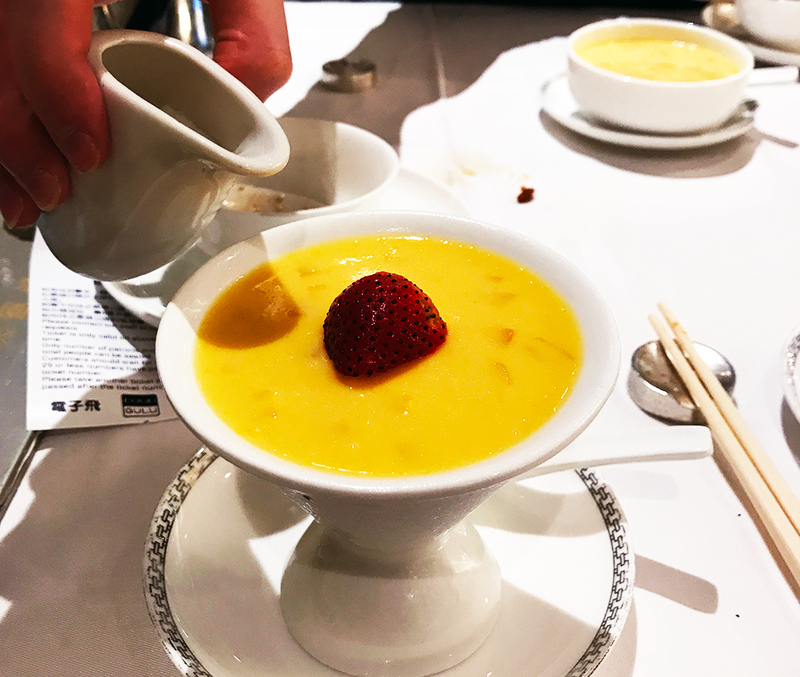 Mango pudding can be found as a dessert at most yum cha restaurants. This makes it perfect for an after lunch dessert. There are several different variations of tofu pudding (also known as doufu fa in Cantonese), some salty, some sweet. 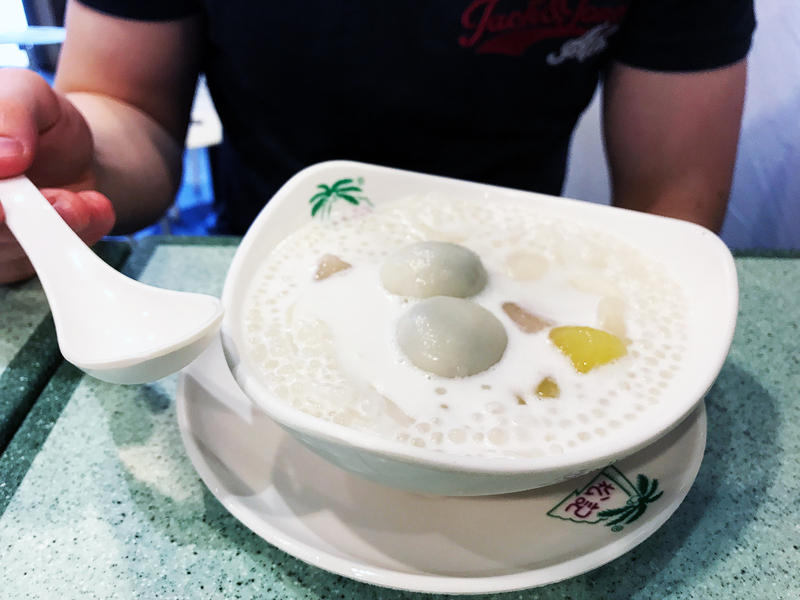 The Hong Kong style version is served with a sweet ginger syrup usually, and sometimes with coconut milk. It is traditionally made in a large wooden bucket and sold as part of the dim sum cuisine, so you will often find this at yum cha restaurants along with dim sum.